It’s time to gather the kids and get them busy making something for Father’s Day. 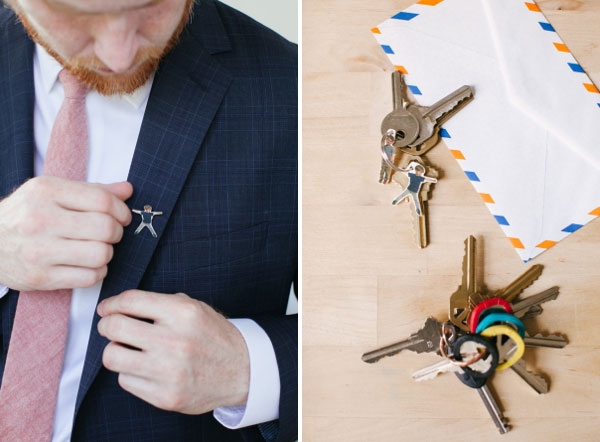 We’ve combed the internet and screened countless Pinterest boards in search of amazing DIY Father’s Day ideas and boy, do we have some ripper gift ideas for dads to tear into this Father’s Day! 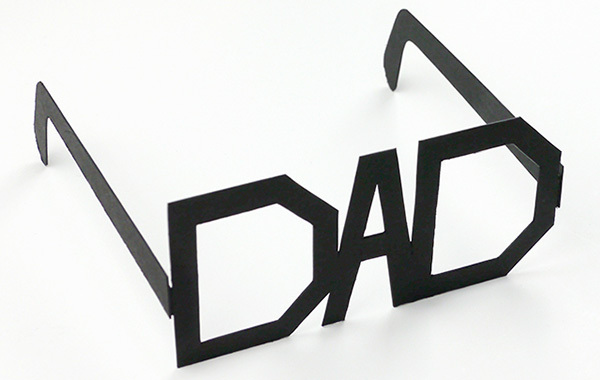 For those handy with an Exacto knife, we love these Father’s Day Printable Typography Glasses from Mr Printables. Awesome for all hipster dads and of course, we expect them to be worn for any Father’s Day portraits! 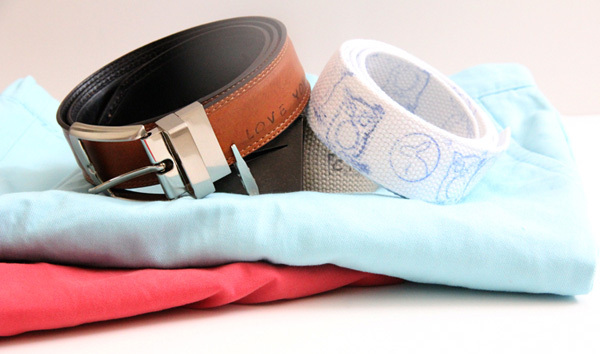 While we’re talking fashion accessories, I love this idea of a stamped belt. Simply arm yourself with a fabric ink pad and some stamps (we recommend Typo stores for a great selection) and set to it. Craftaholics Anonymous have a great how-to tutorial for this project. 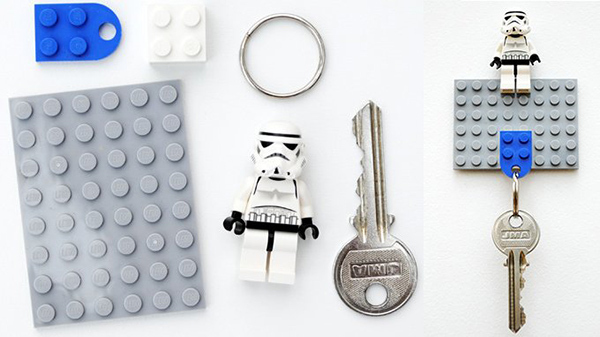 A Lego key tag and key store is just the thing for Lego enthusiasts to build and give. This super easy Minieco tutorial will have you hunting through your Lego collection for all the right pieces! 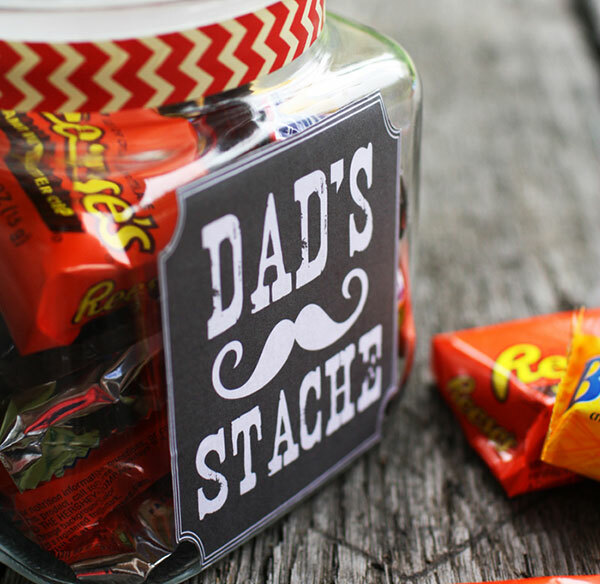 I don’t know a dad that doesn’t like having a treat every now and then, so why not make him his own stash jar of treats? Low on craft skill and high on recipient appreciation, all you need is some cute washi tape or ribbon, your printer and a nice jar – and favourite treats of course! Finish it with a fun free printable label from Thoughts From Alice. 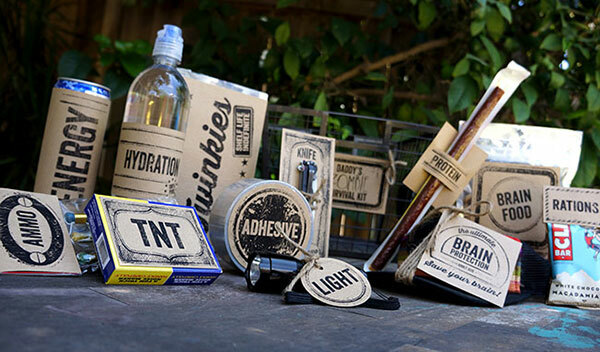 If you have a little more time up your sleeve, and dad’s a fan of The Walking Dead, get the kids to put together a Zombie Survival Kit. A full guide plus free printables for Dad and Grandpa can be found at Sandy Toes And Popsicles. Children of the 80s will remember with fondness a love for all things shrinky-dink. Now with this tutorial from Oh Happy Day you can make awesome shrinky-dink versions of the kids using a Shrinky-Dink Kit (or alternatively Shrinky-Dink paper for your printer, easily found on Ebay) to make tie tacks, key rings, diary clips – with a bit of imagination the possibilities are plentiful. A handmade card made by my cherubs is my personal favourite thing so naturally I want to share the love with others. 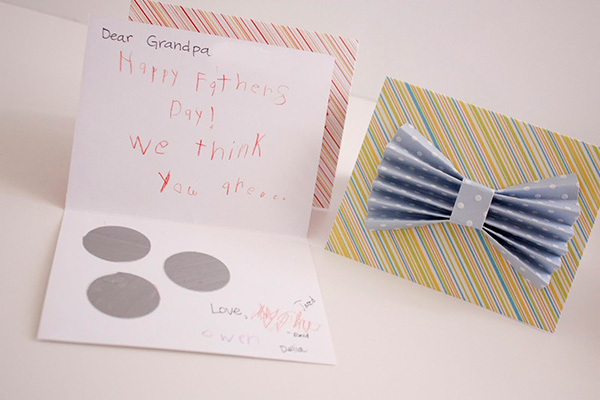 Kids will love creating these Scratch Off Bow Tie cards – complete with secret message – for their dad. A simple mix of acrylic paint and dish washing liquid is all that’s needed to be so clever. Follow this tutorial from Delia Creates to be on your way to creating such awesomeness. 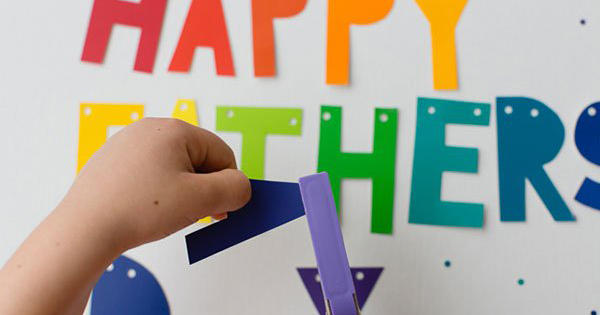 Dad time is always fun time in our house – so it’s a wise move to make a coupon book of fun activities where both dads and kids can reap the rewards! 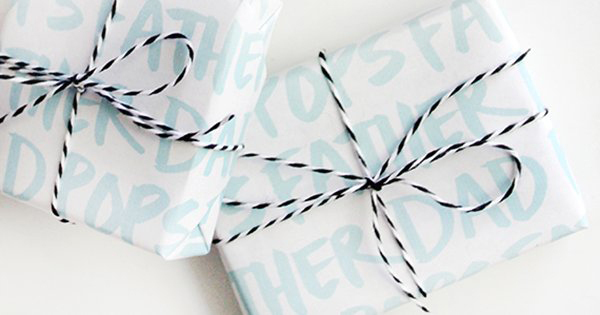 Kids can brain storm fun things they’d like to do with their dad and create gorgeous coupon books to gift. 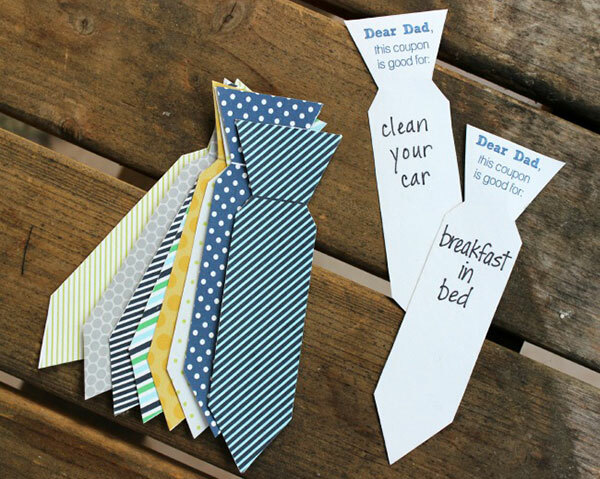 A search of Dad coupon books on Google throws up hundreds of styles, but I do really like this tie shaped version using this tutorial from Reasons To Skip The Housework. 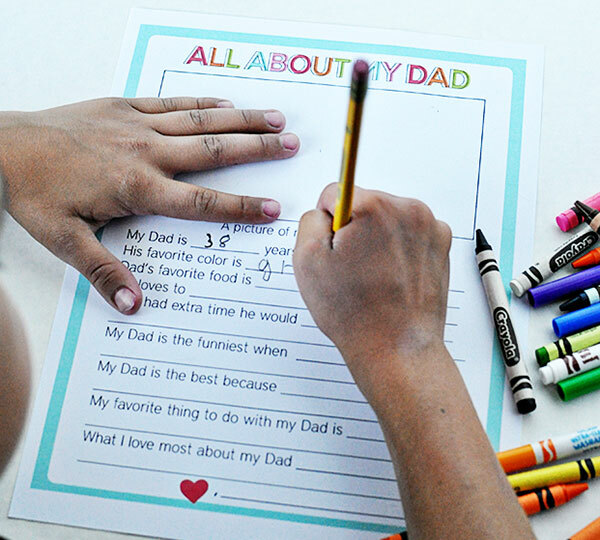 Kids always call it how they see it – give dad a chuckle on Father’s Day morning by including one of these free All About My Dad printables (filled out by each child of course!) from Thirty Handmade Days in his card. Preschoolers don’t miss out on a bit of DIY either – get little ones involved with this hand print shaped I Love This Much card and canvas idea from A Day In My Life. It’s super easy and a gorgeous collection to start and add to each and every year. 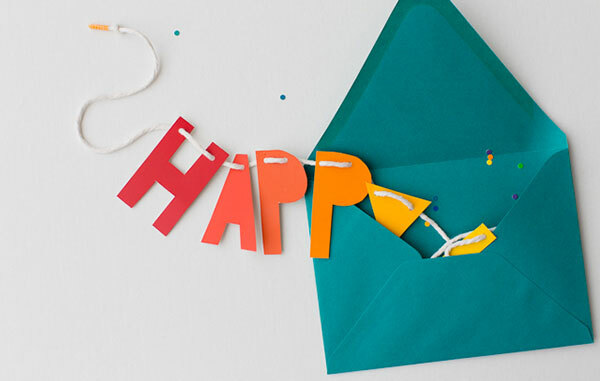 You might have to help out with cutting out the letters, but smaller children will no doubt be eager to get handy with the hole punch and threading activity for making this super cute Father’s Day Card and Banner. All that’s required is some coloured card, a hole punch, thread and envelope and presto! 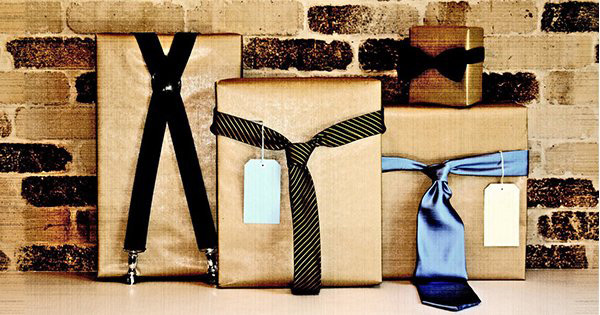 you have a sweet Father’s Day activity and gift. A full tutorial can be found at Modern Parents Messy Kids. Complete your DIY pressie with some DIY gift wrap – download and print off this stunning wrap from Almost Makes Perfect or alternatively paint the kids hands and print their handprints on butcher’s paper for a colourful gift wrap. Let us know if you give any of these DIY ideas a go, or share your own in the Comment section below!